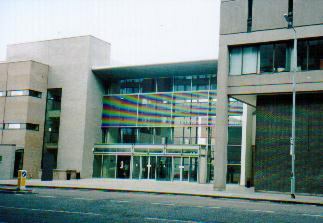 This is at the Royal Northern College of Music, an ugly concrete and brick thing on Oxford Road. 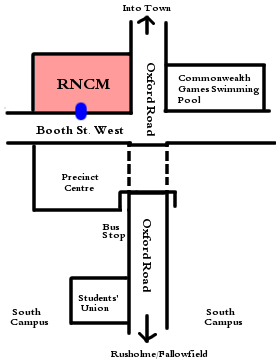 It's just across Oxford Road from the Commonwealth Games pool, north of the Precinct Centre (a big red brick thing that bridges over Oxford Road), into town from the main University campus. It has a lot of building work on, so there's scaffolding and blocked-off bits. 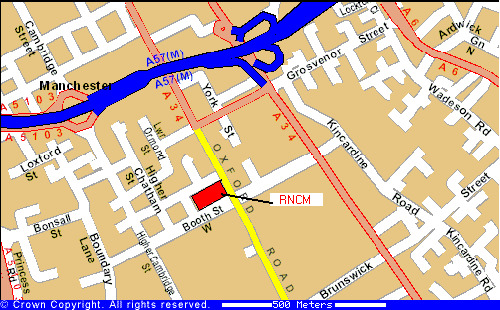 A simplified map is shown on the right.